Tony Sinclair BAcc CA joined the Board of Aberlour in February 2015 and chairs the Finance Committee. Tony graduated from Glasgow University with an accountancy degree and worked at KPMG, where he completed his professional training and qualified as a Chartered Accountant. 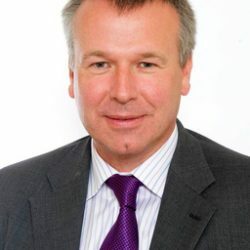 He is currently a partner with French Duncan LLP, a medium-sized Scottish firm of Chartered Accountants, and heads up the firm’s Charity and Not for Profit sector. Although Tony deals with a diverse client list, he has specialised in charity client work for many years, covering a broad range of aims and objectives. He also lectures and tutors on the Strathclyde University Law Diploma course.